The vast majority of homes in the area contain carpeting, and anyone who lives in such a space understands that carpeting needs to be continually managed and cared for in order to maximize its useful life. 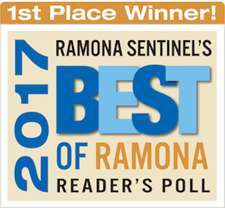 Generally, residents who are proactive in the care of their carpets enjoy them longer than those who simply choose to clean them when it’s absolutely necessary, and many people who have this perspective obtained it from their relationship with a Ramona carpet cleaning service that prides itself on its long list of loyal customers. 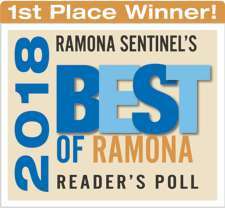 We Care Carpet Cleaning is a Ramona carpet cleaning service that has been serving homeowners and commercial building owners for many years, and every member of our team of professionals shares the dedication to providing our customers with only the best in service and in results. Below you’ll find a brief introduction to the approach used by our team when we hear from someone who is interested in getting the most out of their carpeting. All carpeting is somewhat different in that each piece can be made of different material, can serve a different purpose and can have a different look based on its surroundings. The best way a Ramona carpet cleaning service such as We Care Carpet Cleaning can begin a positive relationship with a customer is by arriving on the location and thoroughly reviewing the carpeting situation. This review will allow us to provide a customer with a detailed plan and schedule of care and maintenance that will provide that customer with the best opportunity possible to get many years out of that investment. People are generally busy with their routines, which means that carpet maintenance and management can be one of those things that’s easily forgotten. The team at We Care Carpet Cleaning understands this reality based on years of providing top-level service to customers. Therefore, we will be sure to stay in touch with our customers to find out how their carpeting is looking and to remind them that they may need a cleaning or some other service before long in accordance with the plan that was offered when the relationship with that customer began. 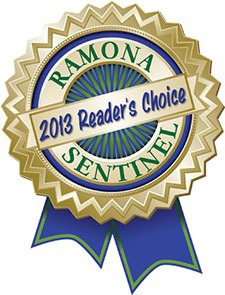 When the team of professionals from the Ramona carpet cleaning service We Care Carpet Cleaning arrives to perform their service for a customer, they leave no stone unturned in making sure that every inch of that carpeting - both in terms of what can be seen and what exists under the surface - is properly cared for and managed. This meticulous approach will only benefit the customer over the long haul, which is exactly the type of relationship we have a long history of building with people in the area. If you have carpeting in your home or your commercial building and you’d like to find out how you can maximize its look and its useful life, all you need to do is contact the team of professionals at We Care Carpet Cleaning today to schedule an initial consultation.